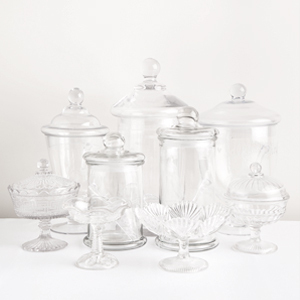 Includes all lolly jars, scoops and vintage glass bowls seen here. 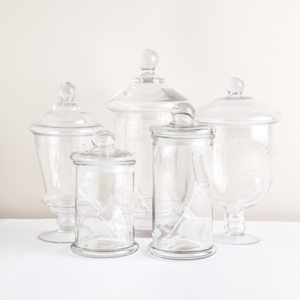 Other jars available to add to this collection. Please ask.